The Big Easy offered a new Christmas experience for us this year. We didn't want to travel very far and had only a three-day, two-night trip in mind. Where else, but New Orleans -- a mere two-hour jaunt. By the number of past blogs, one realizes that we have been over to Louisiana seemingly more than usual during the past year. 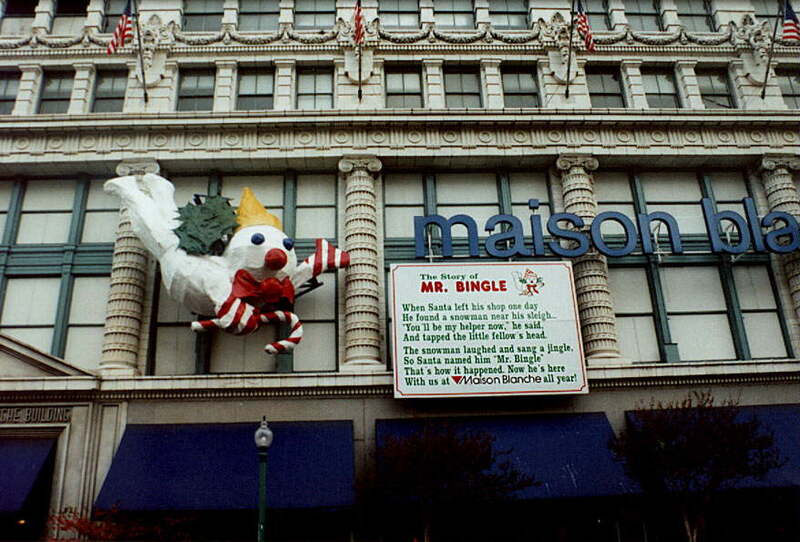 My mind wants to tell me that a December trip to see the downtown decorations was an annual event when growing up. 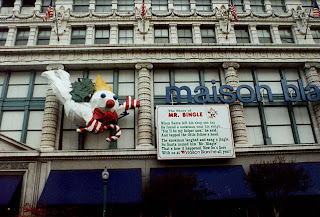 Mr. Bingle, a snowman-looking figure who was an assistant to Santa Claus, was at the Maison Blanche store overlooking Canal Street. And of course, we waited in long lines to see Santa there. The downtown area has changed, as many others throughout the country. The big department stores once on Canal have taken on a different personna and located in outlying malls. Nevertheless, we found excitement in various hotel decorations. 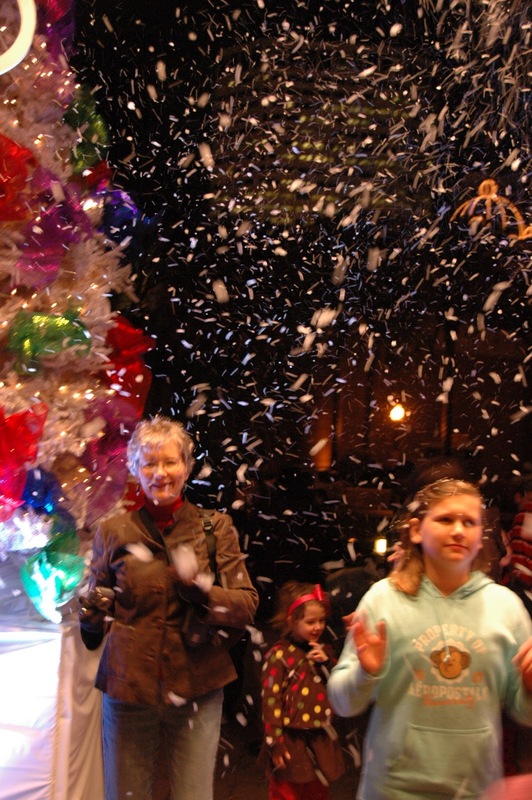 The biggest find, which is probably offered each year, is the "Miracle on Fulton Street" which hosts a block-long tented area covering decorated Christmas trees and a variety of plants. 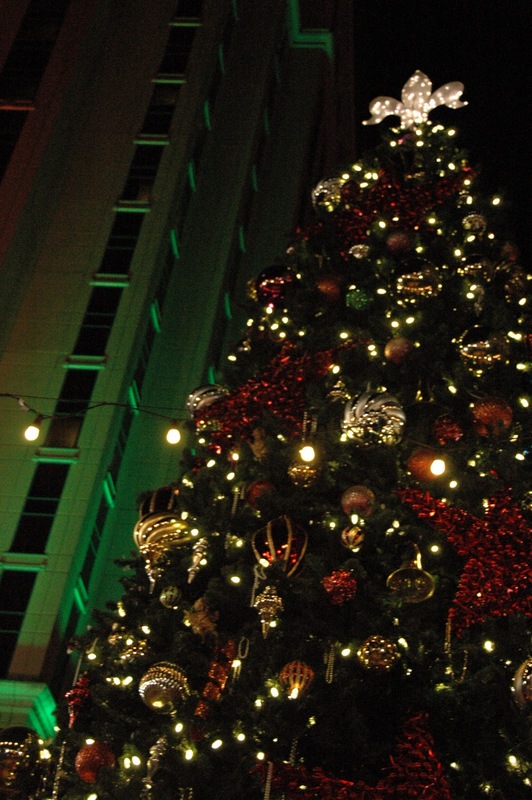 A 30-something foot tall tree anchored the west end of the decorations. Entertainment was just around the bend along with the opportunity for kids of all ages to view real "reindeer ." 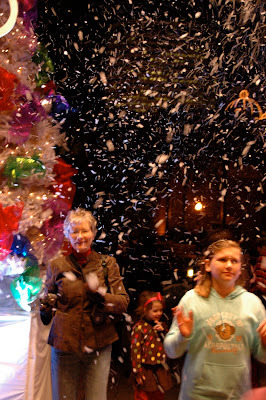 And a big "excitement time" for kids of all ages was the machines that blew out artificial "snow" every few minutes. That wind at times was blowing so hard that it appeared as if there were a blizzard. 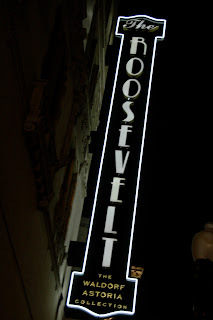 The lobby of the Roosevelt Hotel glittered with a winter wonderland look as thousands of white lights strung on trees and plants added to the holiday feeling. 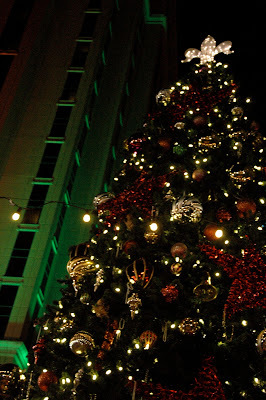 The Royal Sonesta also offered great decorations with many lighted trees inside their lobby. Time flies by and those were the only nightlife decorations that we were able to take in, not to mention the street lighting along Canal. In the coming weeks, individual posts will deal with food and quirky (or tacky) things we came across. 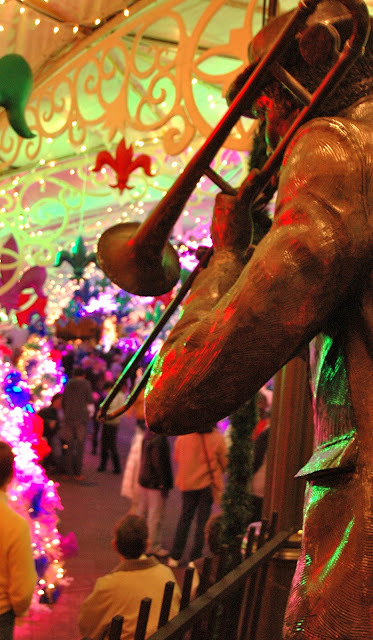 Am reliving our trips to NOLA when we were little through your blog - keep the stories coming. 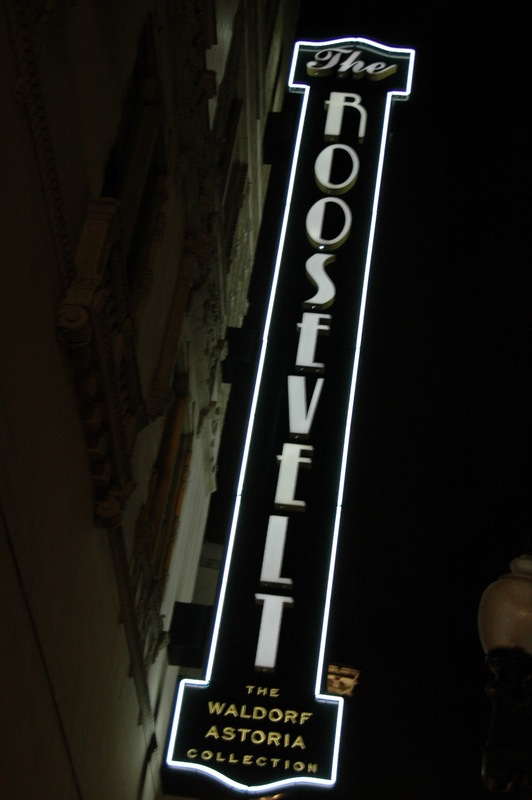 Next time I come down I want us to go back over to NO and I want to eat at all of the places I have been reading about on ya'll's blogs - they sound delicious. Can't wait for the next issue!!!! GRRRR! Jealous of your pix. they are better than mine.